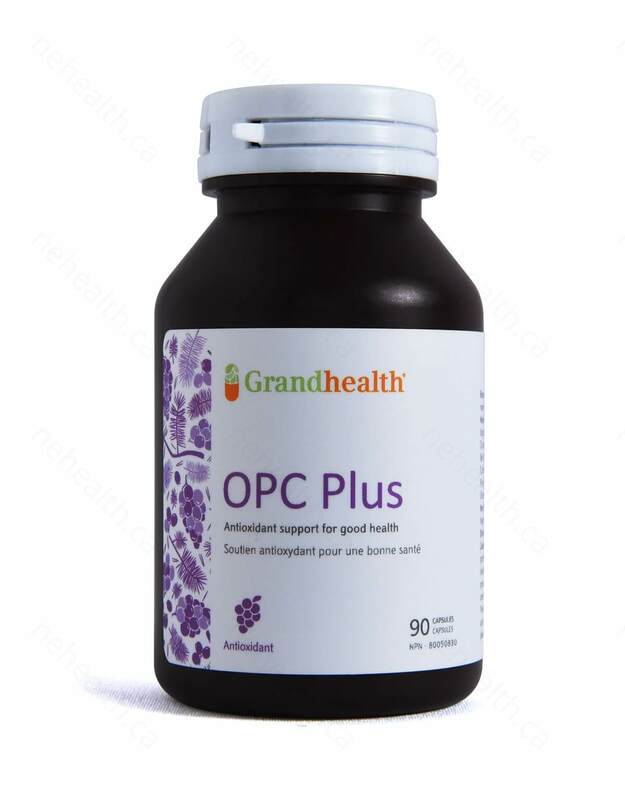 Grand Health OPC Plus is a unique combination of powerful antioxidants that features oligomeric proanthocyanidin complexes (OPCs) derived from grape seeds, pine bark and red wine. 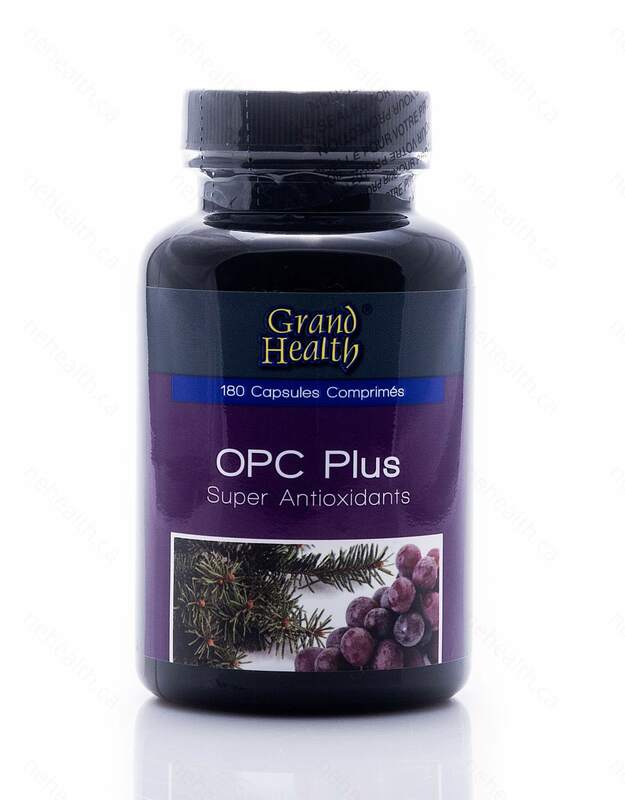 OPCs are naturally occurring plant metabolites that can be found in vegetables, fruits, nuts, seeds, flowers and bark with remarkable antioxidant activity. It is widely known that antioxidants can help slow the aging process while a lack of antioxidants can contribute to cellular membrane weakness, inflammation and genetic mutations that can lead to cancer and cardiovascular disease. 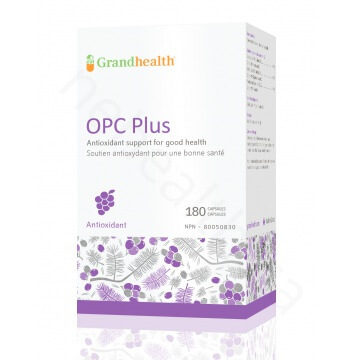 Grand Health OPC Plus provides strong antioxidant support at therapeutic levels to support the maintenance of good health. What are the key benefits of OPC Plus? Antioxidants are potent scavengers of free radicals in the body and studies have shown that antioxidants have beneficial effects on human health and disease prevention. 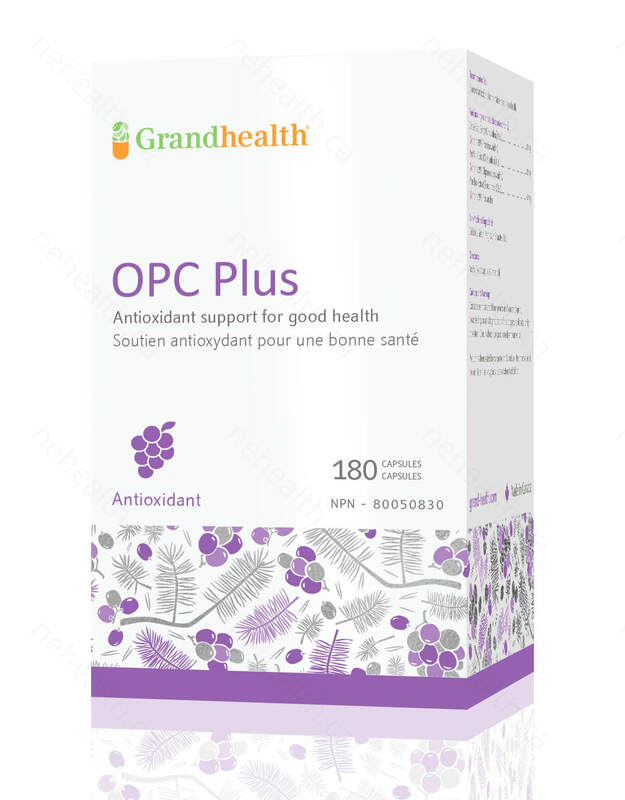 In regards to OPC (Oligomeric Proanthocyanidin Complexes) antioxidants, these compounds have been shown to possess a broad spectrum of therapeutic effects against free radicals. Free radicals are atoms with an unbalanced number of electrons and can damage important cellular components such as DNA or cell membranes. Cells can end up functioning poorly or cease to function completely if this occurs and are implicated in many types of disease. Antioxidants are used to help prevent this damage in the body. How do free radicals affect aging? People age because their cells accumulate free radical damage over a period of time. Antioxidants are used to reduce the amount of damage that free radicals can cause in the body. Cellulose, Gelatin, Magnesium Stearate, Silica. Adults: Take 1 capsule 1-2 times daily. 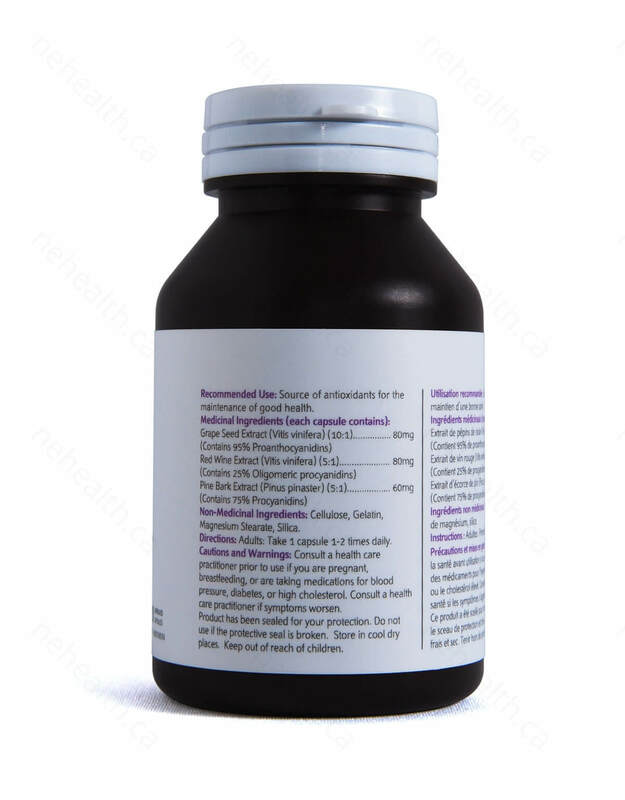 Consult a healthcare practitioner prior to use if you are pregnant, breastfeeding or are taking medications for blood pressure, diabetes or high cholesterol. Consult a health practitioner if symptoms worsen. Product has been sealed for your protection. Do not use if the protective seal is broken. Store in a cool dry place. Keep out of reach of children. Fine, Anne Marie. "Oligomeric proanthocyanidin complexes: history, structure, and phytopharmaceutical applications." Alternative medicine review: a journal of clinical therapeutic 5.2 (2000): 144-151. Halliwell, Barry, and John Gutteridge. "Free radicals in biology and medicine." Journal of Free Radicals in Biology & Medicine 1.4 (1985): 331-332. Russo, A et al. "Bioflavonoids as antiradicals, antioxidants and DNA cleavage protectors." Cell biology and toxicology 16.2 (2000): 91-98. Jayaprakasha, GK, RP Singh, and KK Sakariah. "Antioxidant activity of grape seed Vitis vinifera extracts on peroxidation models in vitro." Food chemistry 73.3 (2001): 285-290.